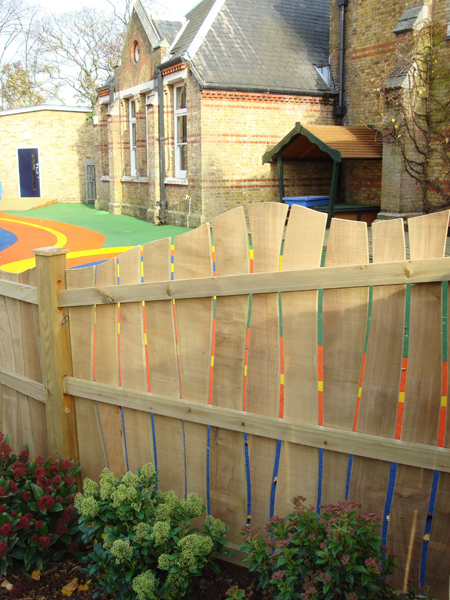 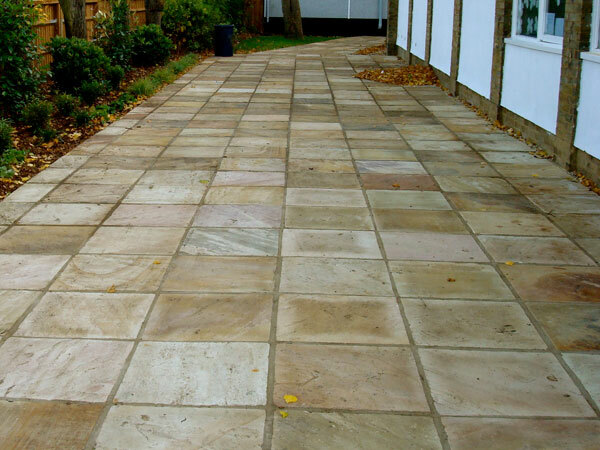 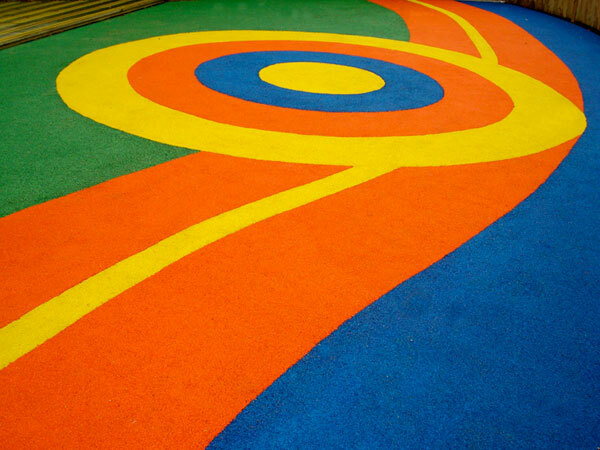 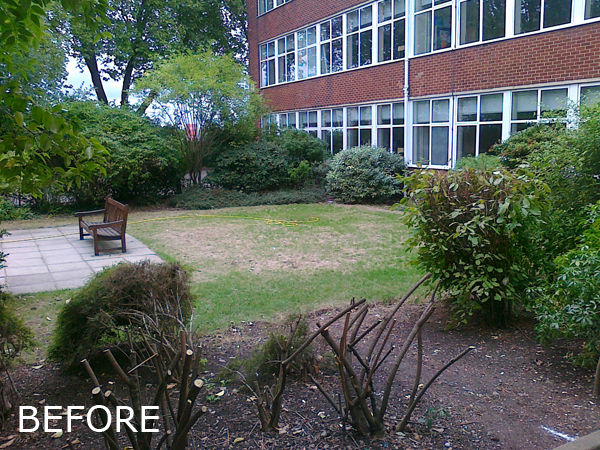 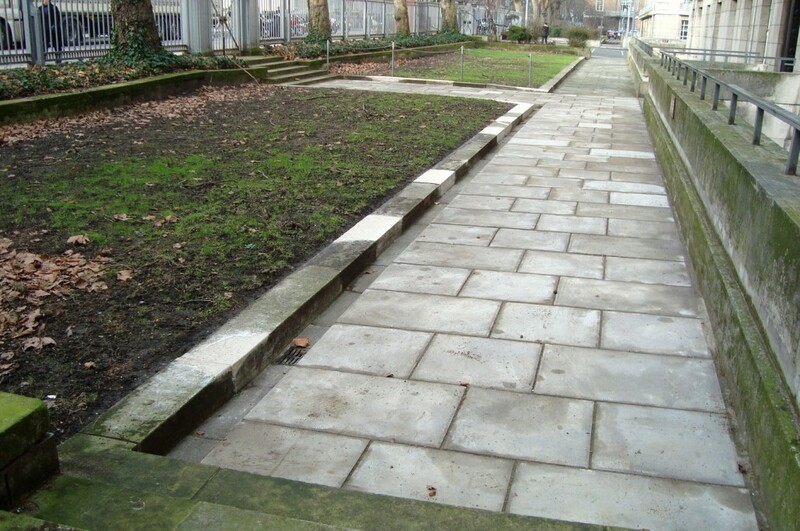 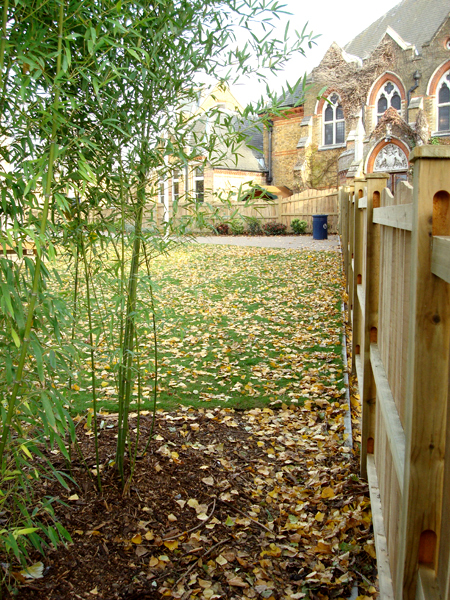 Landscaped garden design projects for schools, colleges, universities & public spaces. 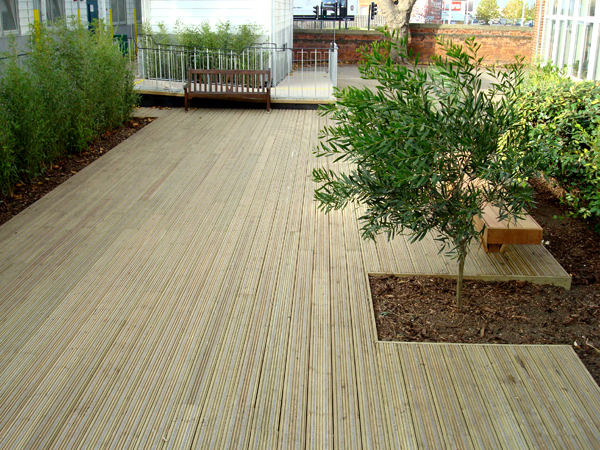 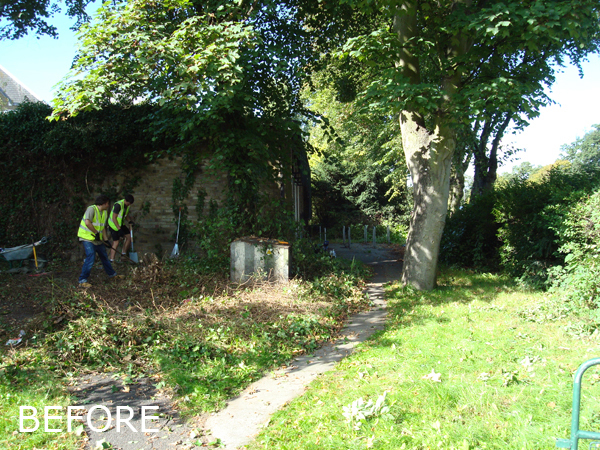 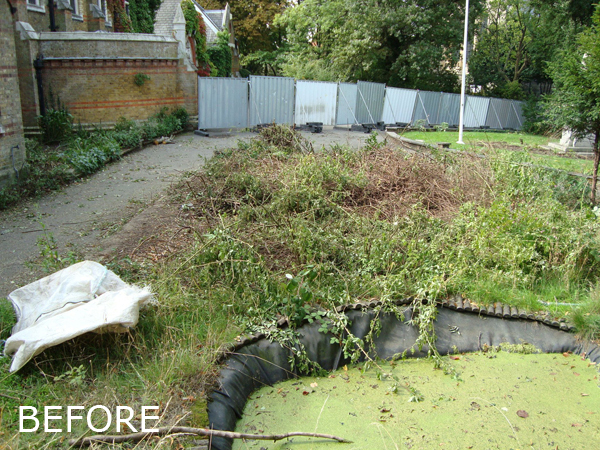 This garden design and build project involved two gardens at different locations. 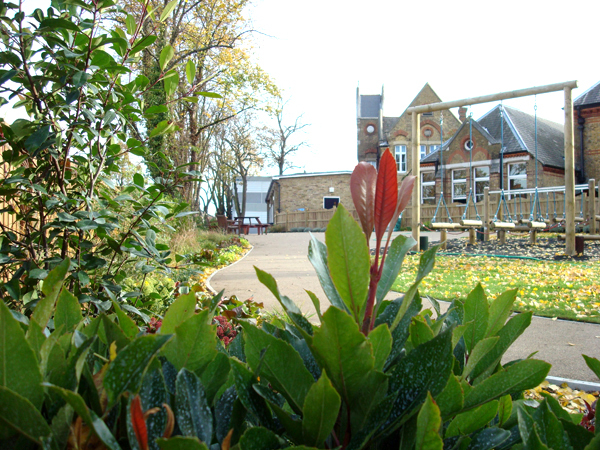 School children were to be housed in temporary buildings following a significant fire at a primary school. 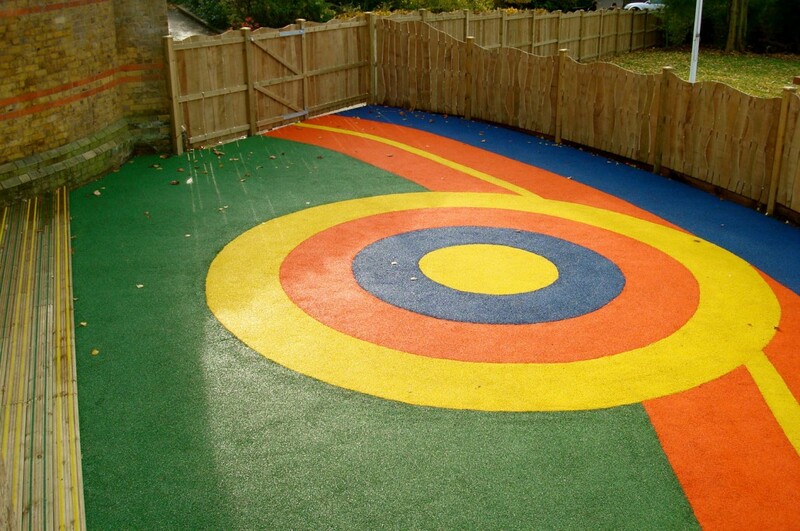 The timescale for the project was very tight despite it being a mammoth task — the children were due back in class and we only had 9-10 weeks available to complete the entire process! 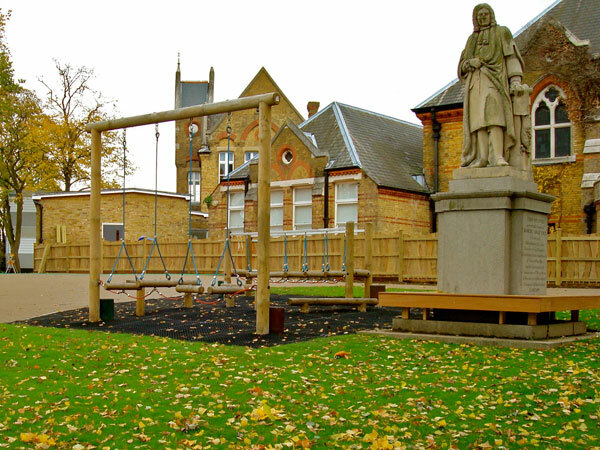 The brief required that the playgrounds should be fun, spacious, functional and safe, and to incorporate planting where appropriate. They also had to be durable and sympathetic to the surrounding architecture and to be aesthetically and visually stimulating. 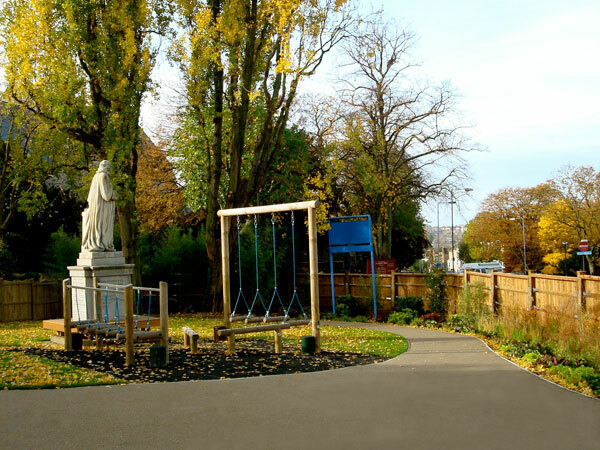 One added complication was the fact that one of the two spaces was to become a communal garden for the school once the junior children had been relocated back to their own classrooms, but that wouldn’t happen for about 3 years. Hence an element of forward planning was also involved. 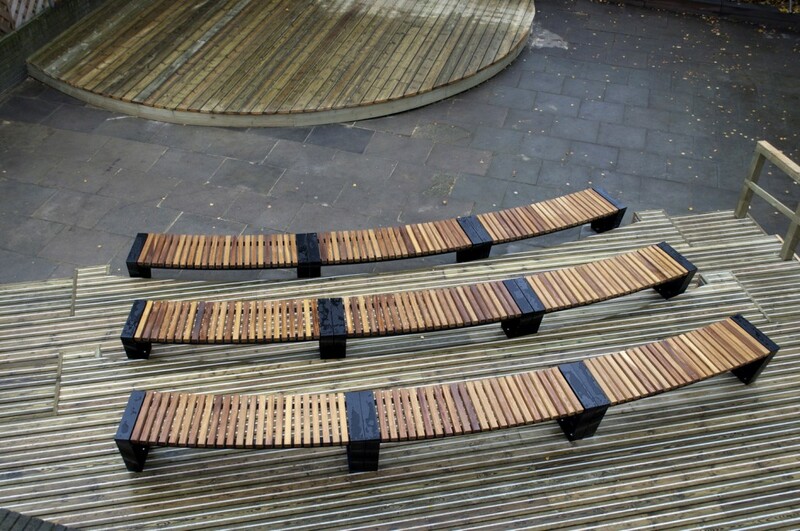 The final outcome incorporated a visually stimulating, colourful rubber crumb outdoor safe surface, non-slip deck surface areas, a funky wooden fence which was both fun and functional, benches and tiered seating, sympathetic planting and a wooden stage. 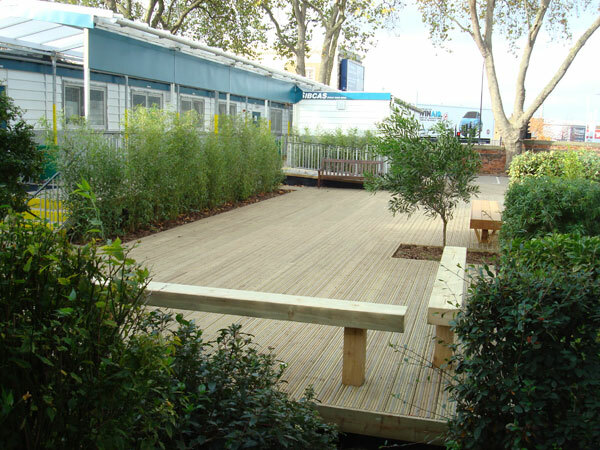 We created an ideal environment in which the children could spend their breaks and the project went on to win an award in the APL Awards. 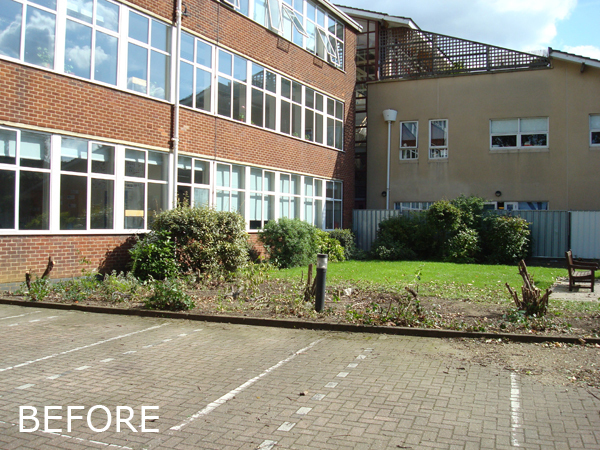 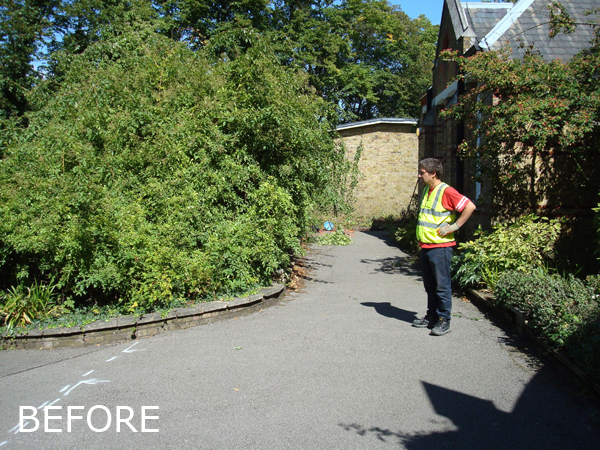 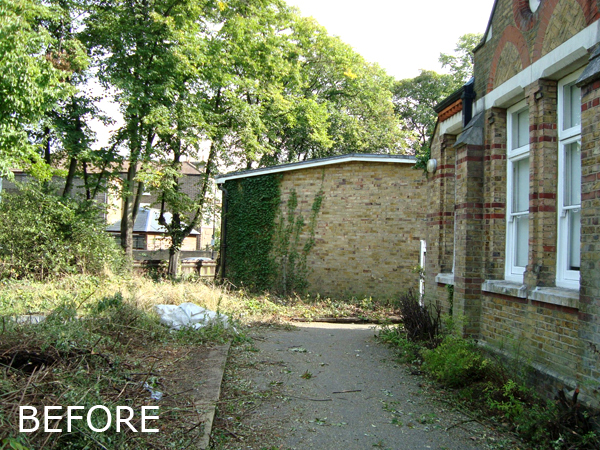 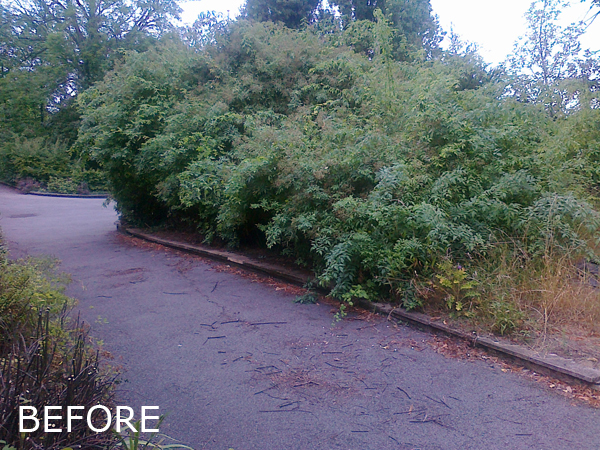 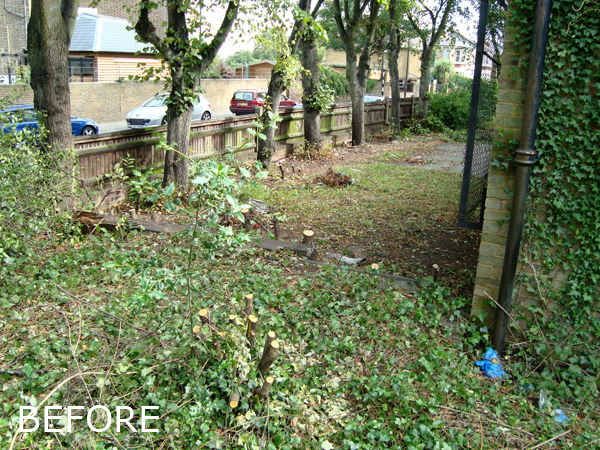 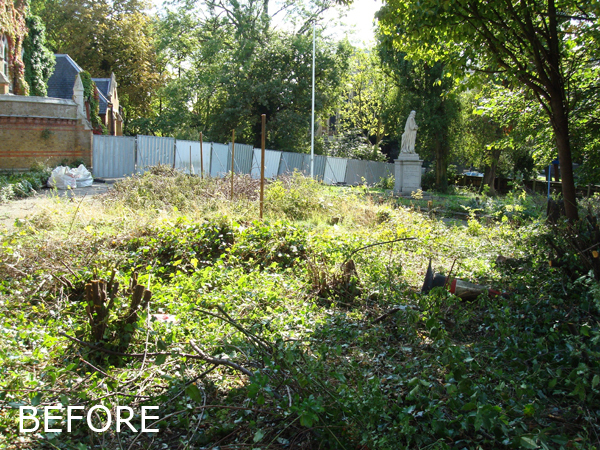 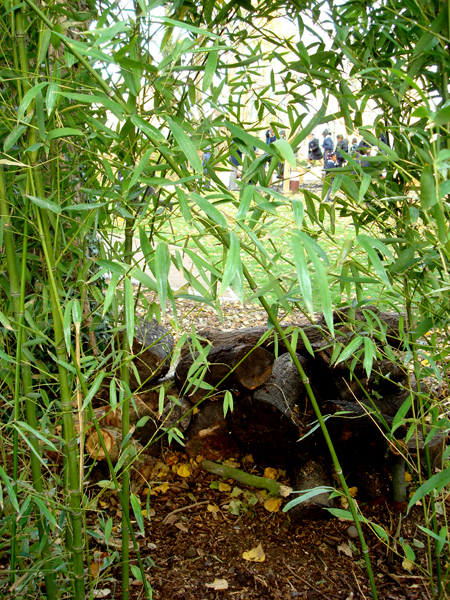 Read more about this award-winning school gardens project by clicking here. 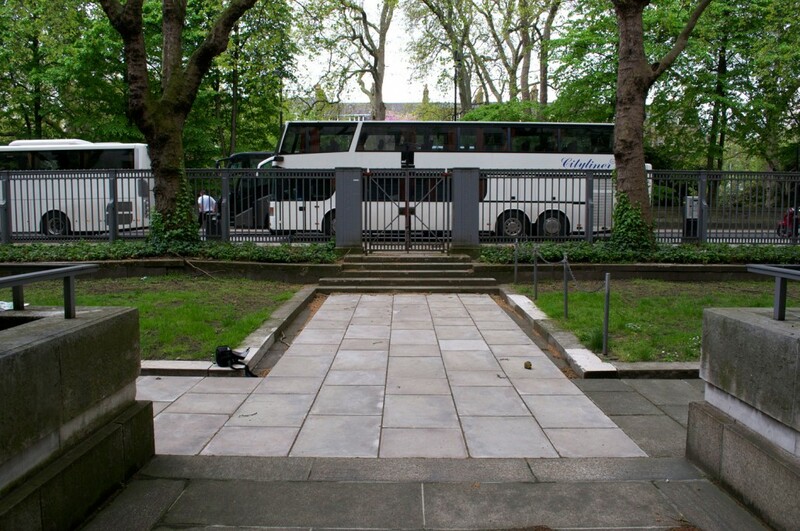 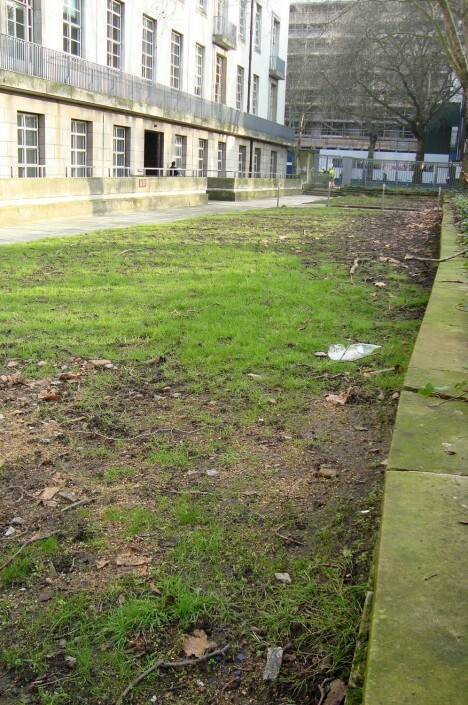 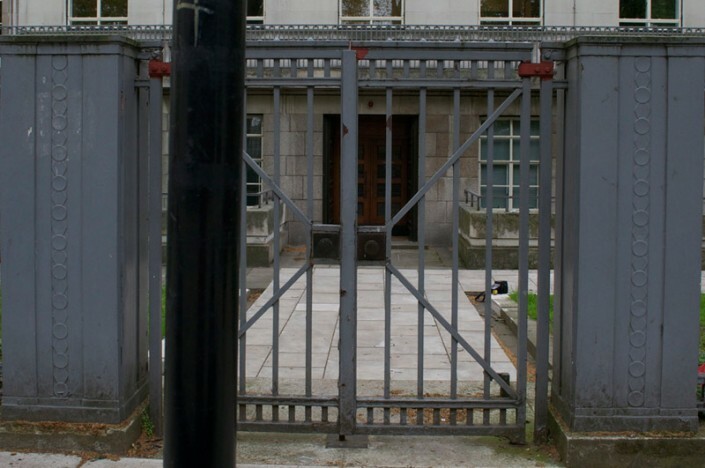 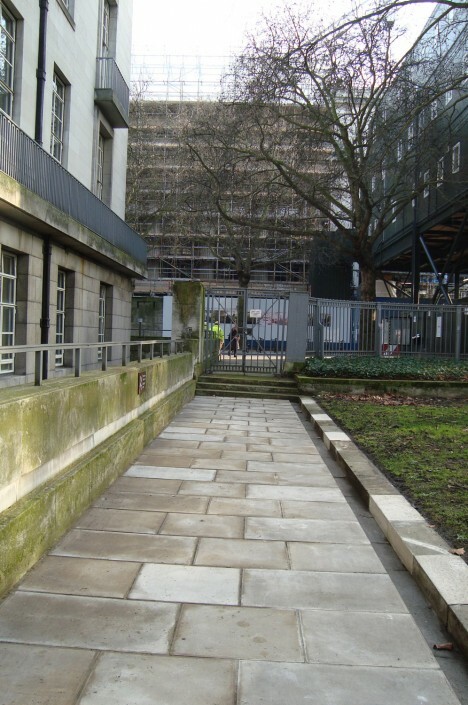 We were invited to UoL Senate House for a meeting with the Facilities Manager of the University, to discuss the potential re-design of the conference hall gardens. 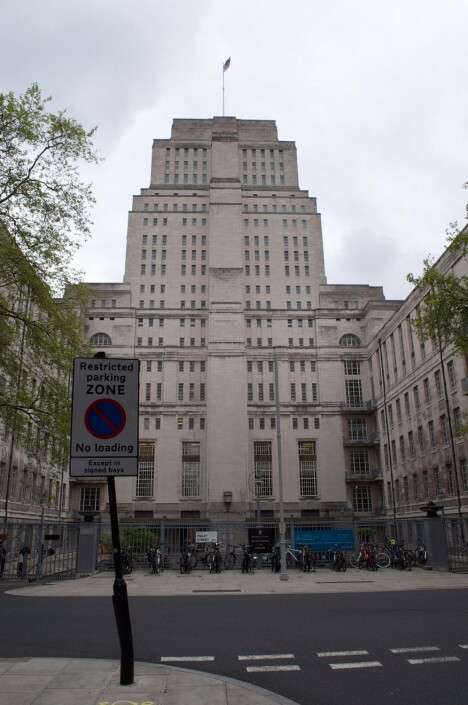 They are an important, yet under-used asset for the university so a redesign would create an inviting space and lend an extra dimension to the university. They could also potentially attract events that require outdoor space. 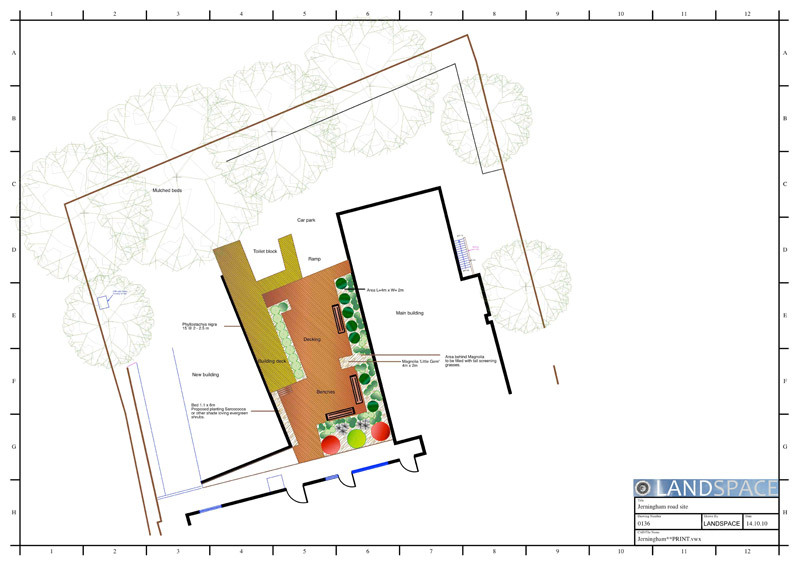 It was also essential that the building’s Listed status was taken into consideration. 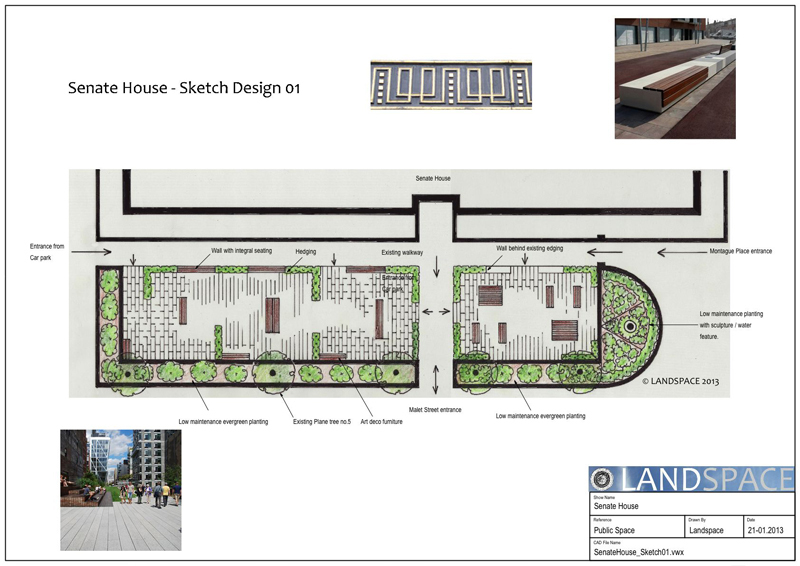 At Landspace Design we felt the space should be exciting, spacious, safe, open, peaceful, comfortable and sociable as well as providing some privacy. 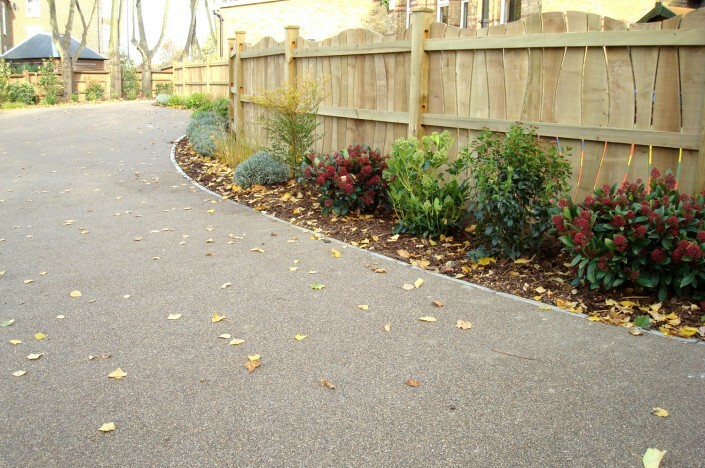 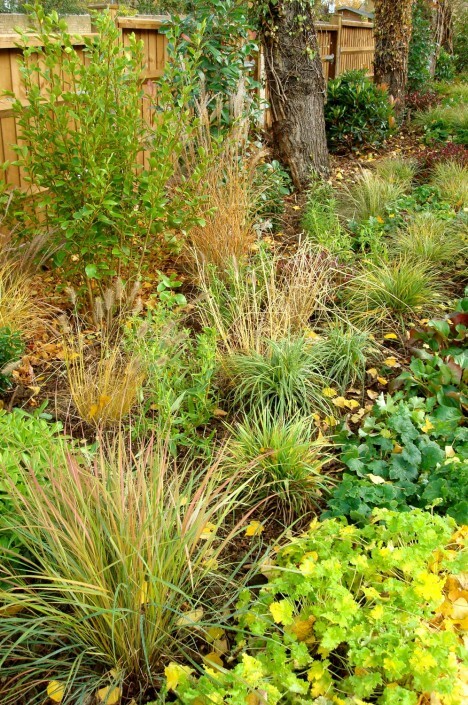 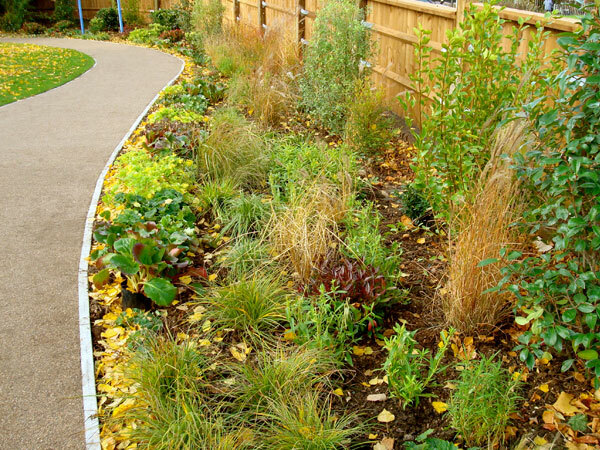 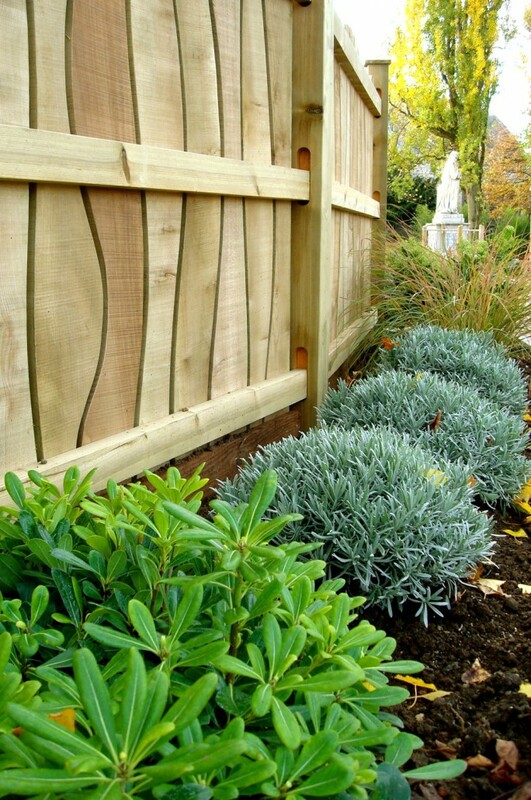 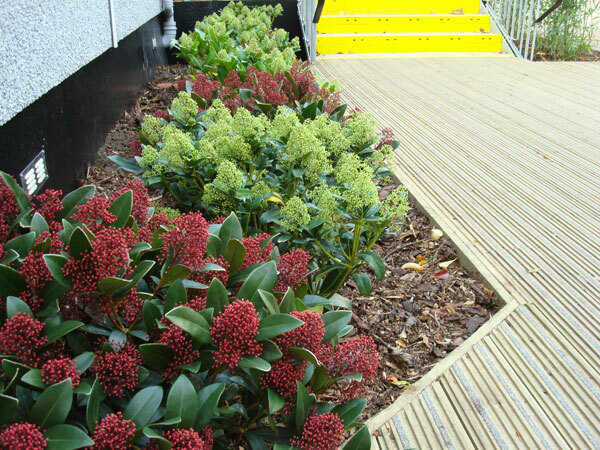 We wanted it to utilise currently available sustainable materials and where possible contain low allergenic and non-toxic planting – as well as having all considerations for disabled access. 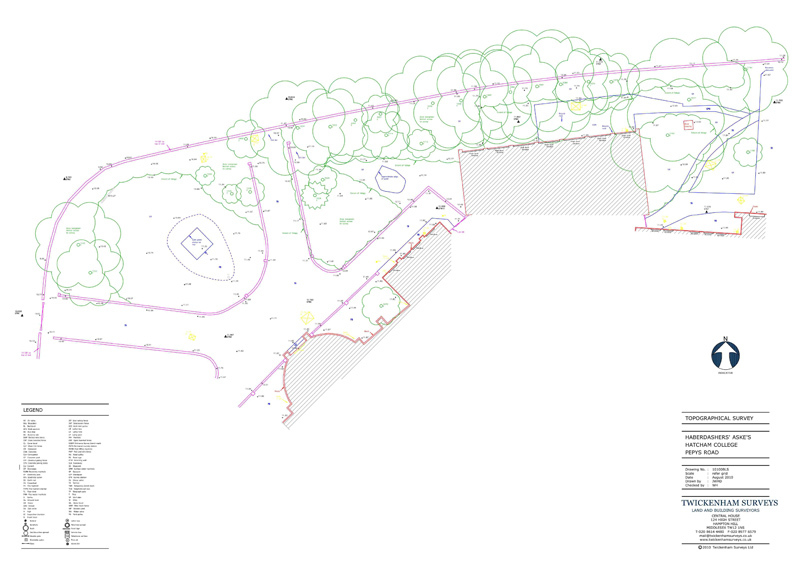 Our proposal suggested that the space should be made up of two to three different zones interlinked by a path running from one end to the other. 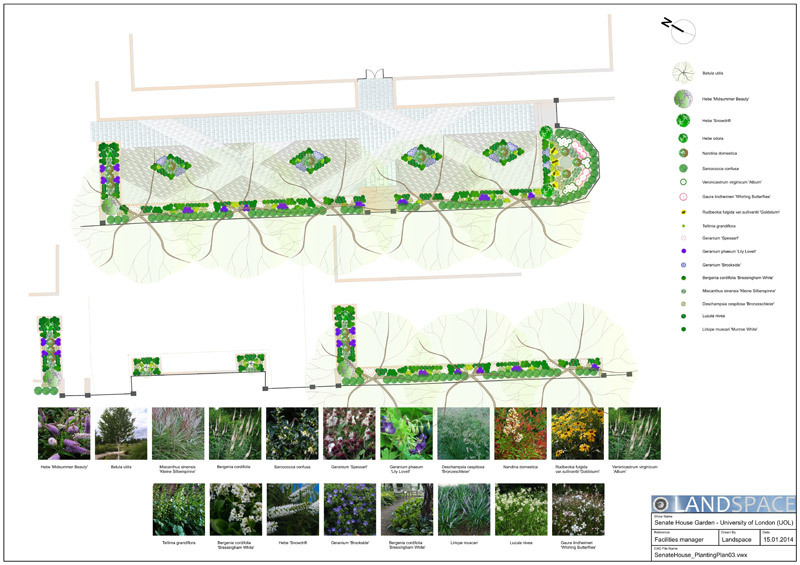 Because the garden space is long and narrow, our design was also devised so as to create a greater sense of width. 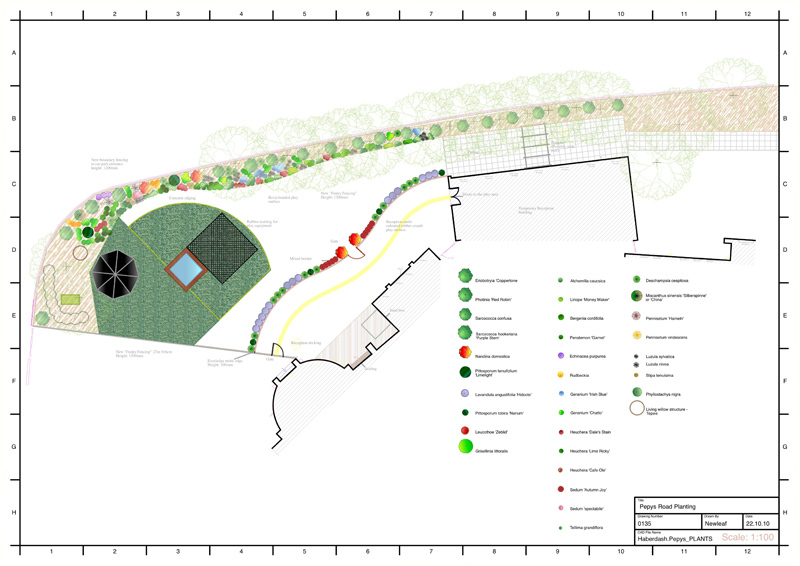 We also proposed that the far end of the gardens should be easily separated from the other areas should an event be taking place, so that the gardens could remain open to students and the general public in the mean time. 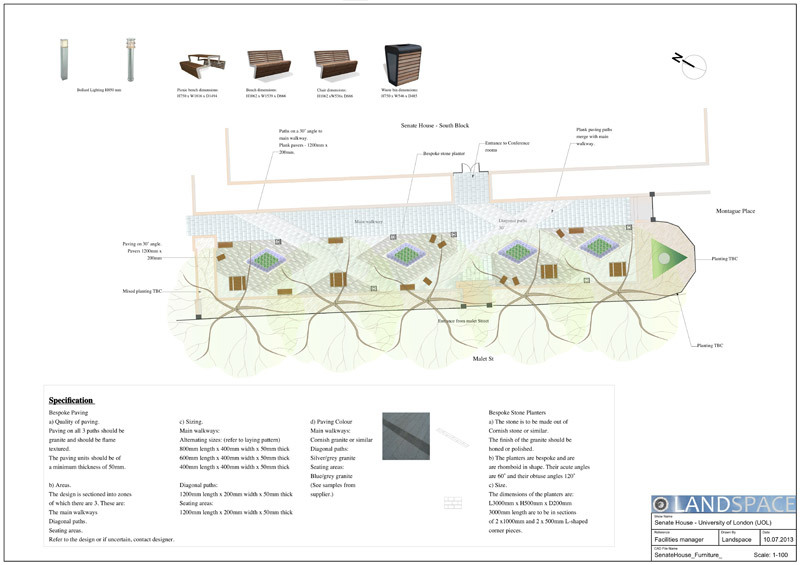 The university board chose our proposal against three submitted by other companies and our drawings were then supplied to support the university’s planning application. 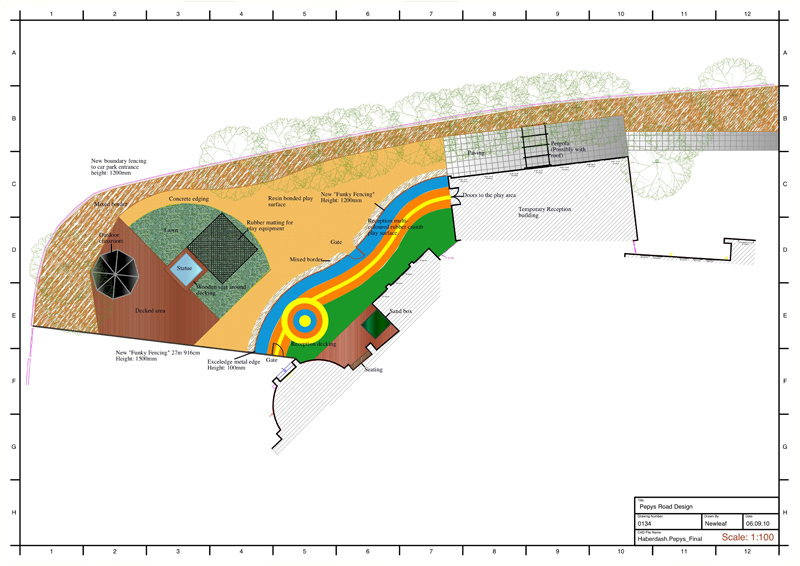 The project is currently awaiting a final decision. 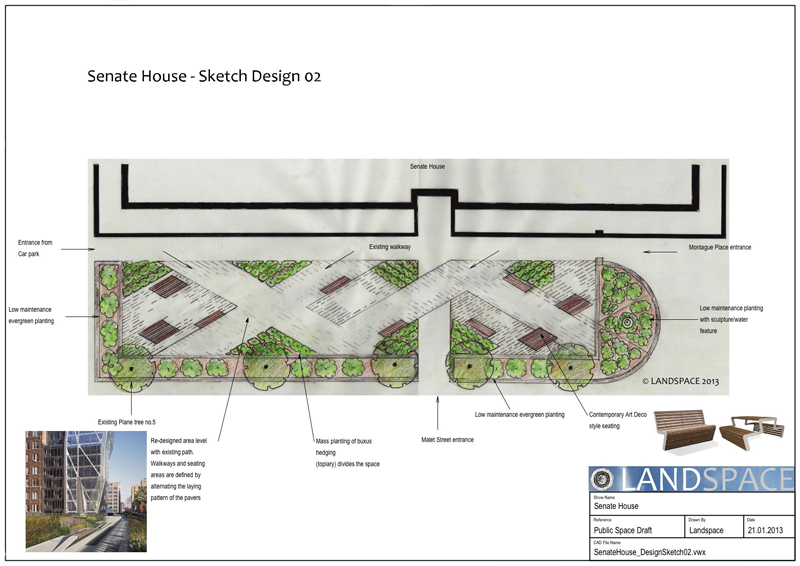 To learn much more about this university garden design project, click here.